A recent survey revealed that nearly a third of millennial women feel as though that having a clean, close shave makes them feel more beautiful and optimistic about handling the day ahead. That’s why women spend an average of $10,000 over their lifetime on shaving, on average more than 7,718 times–all in the name of beautiful, silky legs. Today, we’re exploring the best practices of shaving and waxing to educate you on how to best remove leg hair to achieve those smooth and soft legs that everyone loves to show off in summer sundresses and shorts! What causes ingrown hairs on legs? Ingrown hairs occur when a hair grows back into your skin after you’ve practiced hair removal via waxing or shaving. Especially if you have curly or coarse hair, ingrown leg hairs are not unusual. Ingrown leg hairs aren’t cause for major concern, however, they do prompt inflammation and irritation. Not only are ingrown hairs unpleasant to deal with, but they can also be unsightly. With summer nearly here, no one wants to feel self conscious about ingrown leg hairs, exposed by the shorts, dresses,and bathing suits frequently worn in these warm months. Preventing ingrown hairs is possible, especially when shaving your legs! To prevent ingrown hairs, exfoliate your legs well before shaving in the shower or bath. This will unclog pores and remove dirt and dead skin. Regular exfoliation also helps ingrown hairs to grow correctly out of the hair follicle rather than curling back into the skin. Another way to reduce the chances of ingrown hairs is to use a shaving gel or cream on your skin. This helps your razor’s blade to easily glide along the skin, reducing irritation that leads to inflammation and hair follicle blockages. Finally, use the right razor to shave your legs to ensure the chances of ingrown hairs are minimized. A multi-blade razor works best, and always ensure that your shaving tool is both clean and sharp for best results. Most razors are good for five to six uses. If you find yourself having to apply added pressure to your razor while shaving, that’s a sign that it’s time to toss it and replace with a new one. Another popular method of removing leg hair is to wax, which actually removes hair from the root. Waxing is oftentimes preferred to shaving due to the fact that it encourages hair to grow back more slowly than shaving and finer. However, waxing can certainly lead to unpleasant ingrown hairs, too. To prevent this pesky issue while waxing, you should—again—exfoliate beforehand. This buffs away any dead skin cells and unclogs pores, which could be the start of ingrown hairs when you actually wax. Both before and after waxing, be sure to moisturize your legs. 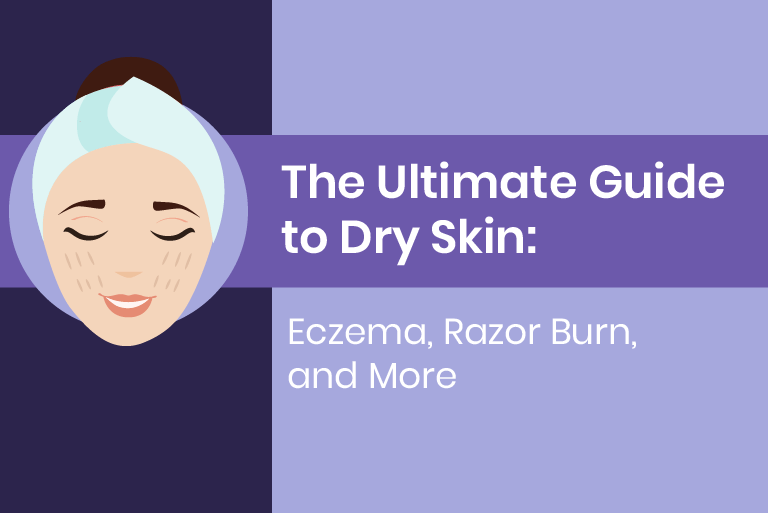 Keep your skin hydrated as dry skin causes the hair to break at the surface rather than being removed from the follicle as it’s intended to be, which can lead to hair growing back into the skin. Finally, use the right wax to encourage smooth skin afterwards. Waxes that are all-natural and made for sensitive skin and applied at body temperature cuts down on irritation. If you have fallen victim to ingrown hairs on your legs from either method of hair removal, treat them with a over the counter product designed to help the issue or with a natural disinfectant. Substances like tea tree oil or lavender essential oil should be applied directly on the affected areas to begin the healing process. Follow these steps and you’ll be on your way to blissfully soft and smooth legs that you’ll love showing off all summer long! Ingrown hairs are painful, irritating, and even embarrassing, but there’s no reason to suffer through them if you take the appropriate measures while shaving and waxing.